Housing Management via Housing Benefit? Really? 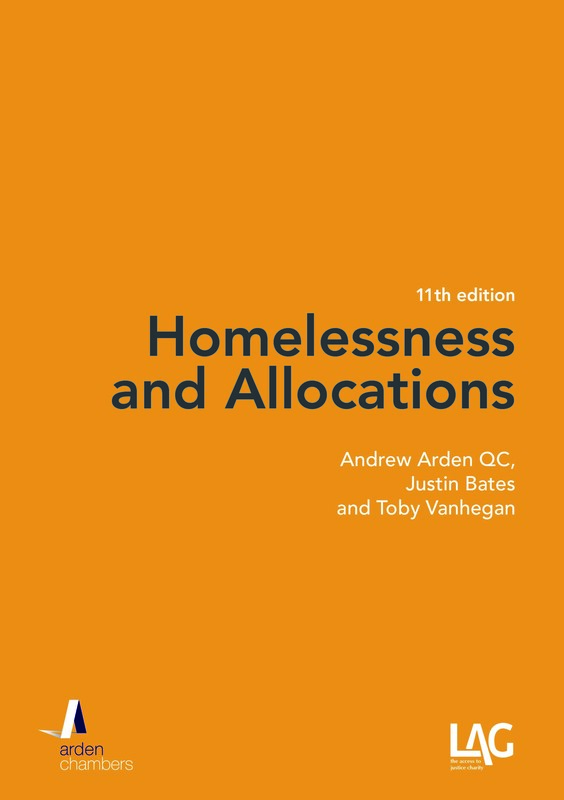 Andrew Arden QC and Annette Cafferkey discuss the recent decision in R (MA & others) v The Secretary of State for Work and Pensions  EWHC 2213, and consider the credibility of some of policy reasons underlying the changes to housing benefit assessment. The challenge to the legality of the housing benefit social sector size criteria (the ‘bedroom tax’) that was mounted in R (MA & others) v The Secretary of State for Work and Pensions  EWHC 2213 failed. 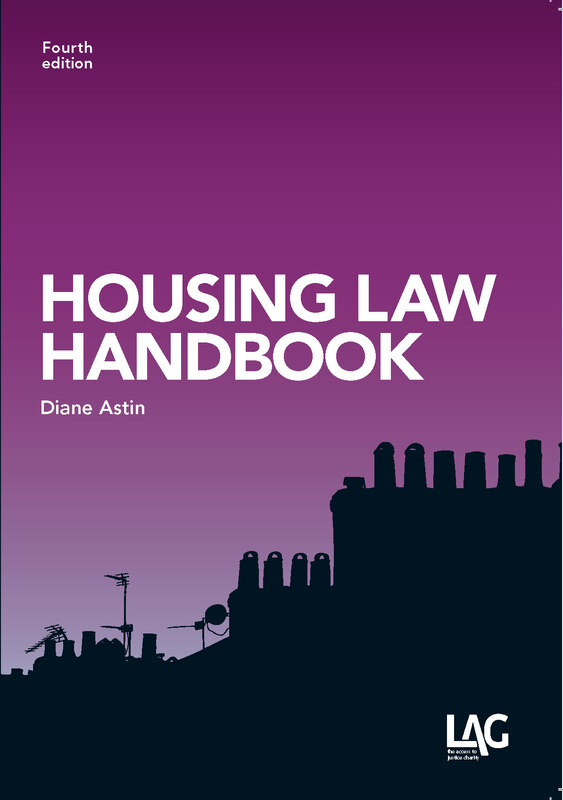 The High Court held that the amendments to the Housing Benefit Regulations 2006 (SI No 213), reducing payments to those renting in the social sector by 14 per cent if the claimant has one more bedroom than necessary or 25 per cent if there are two or more unnecessary bedrooms (new regulation B13, inserted into SI No 213 by the Housing Benefit (Amendment) Regulations 2012 SI No 3040), did not constitute unlawful discrimination contrary to Article 14, ECHR, nor had the Secretary of State violated the public sector equality duty in deciding to bring about these changes. There were, in total, 10 claimants. All required an extra bedroom either because of serious physical or mental health difficulties that affected them or a member (or more) of their families. In relation to the discrimination challenge, it was held that the change to the regulations ‘remains one where the policy has markedly disparate effects between groups of persons, even if the groups have no sharp edges … What Article 14 gives in those circumstances is an obligation upon the Secretary of State “to see that the means chosen to achieve [his] aim is appropriate and not disproportionate in its adverse impact”‘. The question was whether, in applying the housing benefit size criteria, it is proportionate not to treat different people differently. In assessing proportionality under Article 14, in the sphere of economic and social strategy, the court will generally respect the legislature’s policy unless it is “manifestly without reasonable justification”. In this instance, it was held that, in the absence of a precise class of persons (eg those who need an extra bedroom by reason of severe disability as in Burnip v Birmingham CC and other cases  EWCA Civ 629;  HLR 1) which could be readily identified in practical and objective terms, the changes to housing benefit could not be said to be ‘manifestly without reasonable justification;’ accordingly, the provision of extra funding via discretionary housing payments, and advice and guidance on its use, could not be said to be a disproportionate approach to implementation of the bedroom tax. In holding that it was justified, Laws LJ said that the ‘strategic aims of the policy’ should not be underestimated; these were identified as being ‘not only a desire to save public funds, but also to shift the place of social security support in society’, . What is meant by a ‘shift in the place of social security support in society’? Clearly it means something more than merely ‘saving public funds’, but what exactly? And how credible are these ‘strategic aims’? They must have some credibility if they are to be used to justify regulations the discriminatory effect of which can hardly be denied. Reference was made in the judgment to the June 2010 Budget Statement. 1.100 The Government is committed to reforming the working age benefit and tax credit system so that it is fair and affordable. The Government’s reforms will reduce benefit dependency and promote work, while protecting those who are most vulnerable and have the highest level of need. 1.102 Housing benefit is often criticised as making excessively generous payments that damage work incentives. To address this, the Government will remove payments that trap benefit claimants in poverty instead of providing incentives to work as well as being unfair to the millions of families on low income who do not depend on welfare. In 2010, at least, the motivation was to reduce the amount of benefit paid, so as ‘to be fair to the millions of families on low incomes’ and to increase incentives to work. This “ethos” has been elaborated on, criticised and defended in the intervening years; much has been written (too much to detail here). ‘[The] purpose of reform is to influence rent levels and housing choices, which is likely to mitigate the impact of these changes’ (emphasis added). Thus, in implementing the housing benefit changes, it appears to have been thought that, in addition to the more obvious end-result of cutting the housing benefit spend, their effect would be to drive down rents and encourage housing movement so that the impact of the cuts on individuals would be minimised. (iv) restricting housing benefit for working-age social tenants who occupy a larger property than their family size warrants from April 1, 2013 (ie the bedroom tax). All of these measures will reduce the amount of housing benefit received by the applicant but is there any sound basis for assuming that this will bring rent levels down generally sufficient to allow – let alone encourage – mobility within the housing sector? There were, in 2010, approximately 7.9 million rented dwellings in both the private and the public sector (3.9 million private, 3.966 million public). In the same year, there were 4.8 million housing benefit claimants, 3.3 million of whom were in the public sector. It follows that in the public sector approximately 83% of dwellings depend on housing benefit, whereas in the private sector only 38% do. It is clear, then, that housing benefit in the private sector does not affect the majority of the stock; accordingly, there is little reason to think that housing benefit will immediately influence rent levels in this sector or, even long-term, have more than a marginal effect; what it does mean is that those on housing benefit will find it harder to move, not easier. Thus, the report by the Social Security Advisory Committee (November 2010), in relation to the proposed housing benefit amendments in the private rented sector, concluded that the proposed measures were “neither a coherent expression of the Government’s objectives for improving incentives and making work pay, nor a certain formula for achieving savings to the public purse” and that the “rationale for the measures suggests that the underlying problem that needs to be addressed is one of under supply of affordable housing”. It noted that there was little evidence to suggest that landlords would be willing to make reductions in the rents they charge and that, even if they were, the most immediate consequence of that would be a ‘substantial displacement of low income households in search of cheaper accommodation, and much greater pressure on the availability of housing in the PRS. At the same time, over-crowding and pressure on the cheapest accommodation … [would be] likely to increase.’ The report was clear: ‘without sustained investment in affordable ‘social’ housing the problem of the mismatch between average earnings and average household costs will not go away’. Nor do more recent reports provide any basis to suppose that rents will fall. In Tracking Welfare Reform The Impact of Housing Benefit (LHA) Reform in London (June 2013), the think-tank and lobbying body London Councils found that rents are not falling in London, despite the LHA reform and despite the fact that the number of households in receipt of housing benefit has increased by 58,000 from January 2011 to January 2013 (40,000 of whom receive LHA). They concluded that rises and falls in LHA have no real impact on rent; instead, the demand for private rental accommodation from non-LHA households is driving up private rents. The interim report from the independent review, commissioned by DWP, on the recent changes to the LHA system likewise evidences that the reduction in housing benefit has not as yet had any real effect of reducing rents: it was estimated that the reforms had reduced LHA entitlements by an average of £8.21 per week but average rent reductions were only £0.46 per week. Nor was there any evidence of people renting different or smaller (fewer bedrooms) properties as a consequence of the reforms, ie mobility. It is plain that the Government believe that the ‘bedroom tax’ will result in those under-occupying moving to smaller accommodation, a housing management objective or purpose which is a doubtfully appropriate – and arguably improper – use of social security legislation in order to promote a housing management objective, bypassing the provisions currently made for under-occupation (on succession for secure tenants under Housing Act 1985 Sch 2 paras 15A and 16, and by way of suitable alternative accommodation for assured tenants in Housing Act 1988 Sch 2 Ground 9 – both of them discretionary grounds which mean that the court decides if it is reasonable to make the order), a point that appears not to have been considered in MA. In the event, the DWP Impact Assessment for the Housing Benefit: Under-occupation of Social Housing asserts that ‘claimants in the social rented sector will face similar choices to their counterparts in the private rented sector: tenants will be able to chose whether to occupy appropriately sized accommodation or pay towards accommodation which is larger than the needs of their household’. This housing mobility is seen as a good thing, because it will free up accommodation into which tenants living in overcrowded conditions would move. It will not happen if there is nowhere to move to. As the Impact Assessment notes, estimated figures from DCLG for working age HB claimants in social housing in England indicates a ‘mismatch’ between the accommodation required for tenants and availability. In particular, there is a surplus of three-bedroom accommodation in the social sector but a substantial shortage of one-bedroom properties. The Impact Assessment acknowledges that there is uncertainty about the likely landlord and tenant response to the social sector size criteria, which, in turn, creates uncertainty about the savings to be made. Many social landlords have raised significant concerns over their ability to offer alternative accommodation. One housing association in Merseyside has 2,347 households affected by the bedroom tax which require one-bedroom accommodation. Its research established that around 407 one bedroom properties become available each year, meaning that if all 2,347 wanted to move it would take six years to move them. Nor is moving into the private sector an option because it will always be the case that if a public sector tenant cannot afford the rent where he or she is, he will not be able to afford a private sector rent. After all, the very definition of social housing rents is that they are below market rents. More worryingly (particularly in the longer term), the reductions in housing benefit in the public sector pose a threat to housing association income streams and therefore threaten investment in new housing. As stated by the National Housing Federation, in The Bedroom Tax In Merseyside, 100 days on, ‘across Merseyside, 16 housing associations estimated that the total financial cost of the bedroom tax could be £17.3 million over the 12 months from April 2013 and March 2014. 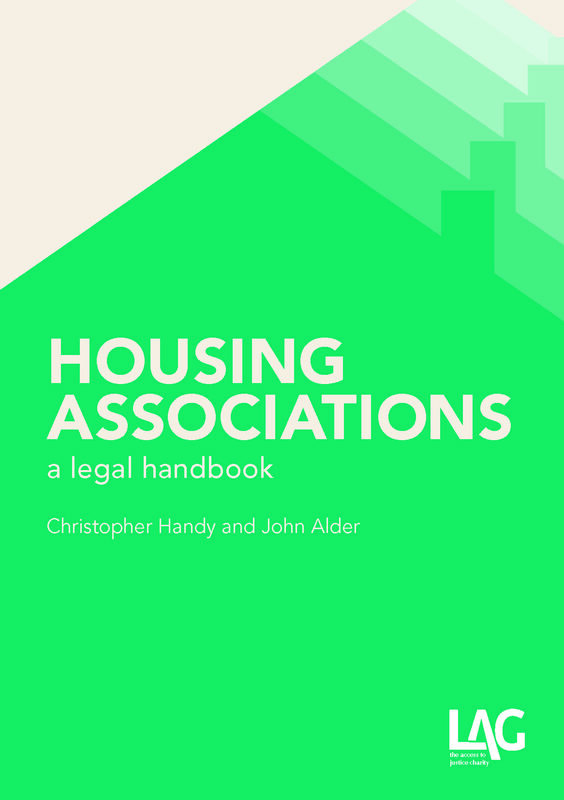 Applied as a whole, housing associations could lose an estimated £22.9 million over 12 months. This lost money could pay for the construction of 250 new homes in Merseyside’. The bedroom tax is deeply unpopular, so unpopular that Frank Field MP has described it as ‘iniquitous’ even though his own ideas on social security commonly command criticism from the same people who condemn the bedroom tax. On this occasion at least, he is right: it is indeed wicked to force people out of homes that were appropriate for them when the tenancy was granted to them, in substance ‘for life’ (leaving aside probationary periods), because (which is the usual reason) their children have grown up and left home (shortly before they reach retirement age, when the tax ceases to apply), even if there were somewhere for them to go. Because there isn’t, they won’t leave; struggling to pay, they will run up arrears and face eviction; without a priority need, they will stand little chance of rehousing (as they would under the housing provisions referred to above); even if they do have a priority need, they are likely – having been evicted for arrears – to be found intentionally homeless. While prima facie challengeable on the basis of affordability (Homelessness (Suitability of Accommodation) Order 1996 SI No 3204), it is by no means a given that they would win. Nor realistically will Article 8 come to their aid, even if instinctively one tends to think ‘this cannot be right’. Is this happening already? The homelessness statistics for the first quarter of the calendar year show a 10 per cent increase of those in temporary accommodation on 31 March 2013, and an increase of 14 per cent of households in B&B, as against the same date in 2012, yet the increase in acceptance of the main duty is negligible (1 per cent). Nor is there any basis for anticipating that rent levels will reduce. Reducing the amount of housing benefit paid has no more prospect of achieving this than it has of encouraging any kind of constructive mobility. Insufficient housing will always mean that rents remain high and that the poorest will struggle to find accommodation; changes to housing benefit will not alter this outcome (whereas rent limits could, see the earlier post All is forgiven: bring back the fair rent (and slash the social security bill, why don’t you?). In sum, the so-called ‘strategic aims’ of the policy behind the housing benefit amendments are highly questionable; it follows then, so surely must be the justification under Article 14 which won the day in MA.